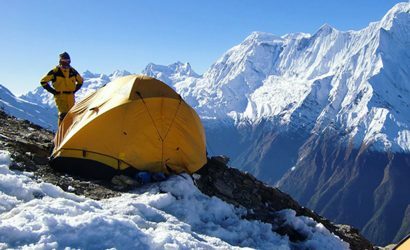 Makalu Base Camp Trek is famous among thrill seekers who love to travel on solitary paths and experience pure nature and unique culture at the same time. This trekking trail leads you to the world’s 5th highest mountain, Makalu (8463m), crossing unexplored regions where you will observe the rich traditions and customs of mixed communities. 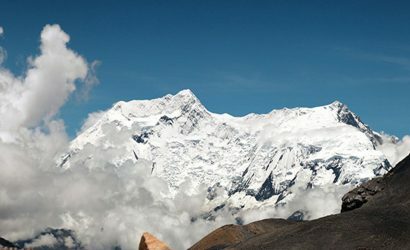 Makalu Base Camp Trek takes place in the Makalu Barun National Park, where you explore the small villages of various groups like the Brahmin, Chhetri, Tamang, Sherpa, and so on as well as the quiet trails through pastureland and moraines in the wilderness. You will enter a lush green area which is a habitat of different species of birds including some of the rare birds in the world like Wren Babbler. More than 75 species of mammals are found here including snow-leopard, red panda, and musk deer. The lower region of the park is spread with rhododendron forests, while the upper region constitutes of waterfalls, hanging glaciers, and granite cliffs. 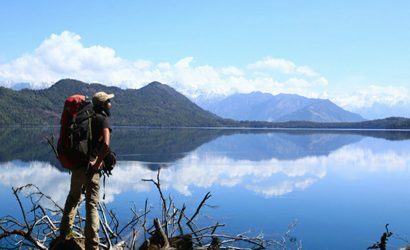 You will go through various uphill, downhill, alpine lakes, glaciers, and valleys to complete this exciting trek filled with surreal natural elements. As you leave the civilization behind to trek in uninhabited areas, the perfect blend of this region presents you with distinctive appearances of the Himalayan landscapes inclusive of the snow-covered Makalu Base Camp. 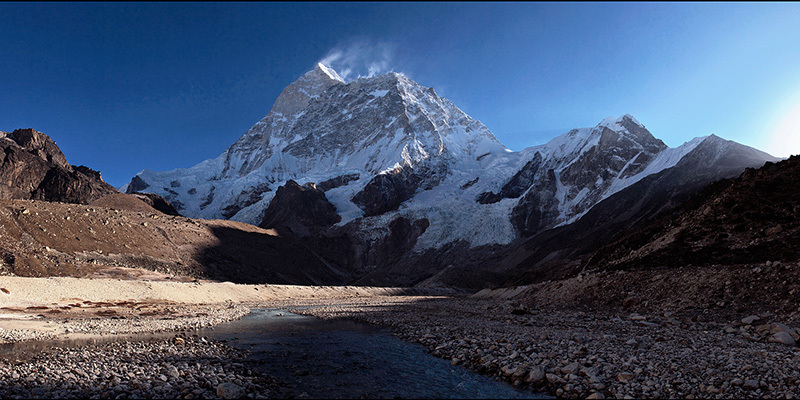 Standing on the foot of Makalu (8463m), you will witness stunning views of Mt. Everest (8848m), Chamlang (7319m), Lhotse (8516m), and Baruntse (7129m) as the ultimate reward of taking on this thrilling journey. This most interesting trail leads up the Arun Valley which is renowned as one of the last strong – holds of the eastern Himalayan Eco-system. Near the village of Num it turns northeast into the forming the Makalu Base Camp. This trek can be counted as being extremely remote in its upper reaches. It is best undertaken between October and late November before early winter snow cuts off access to the base camp area. Day 01 : Arrive at Kathmandu airport. Overnight at hotel. Upon your arrival at Tribhuvan International Airport, Kathmandu, you will be met by our representative and then be transferred to the hotel by private car. Overnight at a hotel in Kathmandu. After breakfast, you will have a short meeting about the trip with your team, after which you will drive to Swayambhunath Stupa, also known as Monkey Temple, which is considered to be a self-made Stupa. Then visit Boudhanath Stupa, the biggest Buddhist stupa in Nepal. You then visit Pashupatinath Temple, one of the holiest shrines in the entire Hindu world. A route of the Pashupatinath area takes you past a sixth-century statue of Brahma, the creator, and numerous other temples. There are rows of Shiva monuments where Hindu pilgrims from all over South Asia can be seen offering prayers to Lord Shiva, the God of Destruction. Overnight at the hotel in Kathmandu. Day 03: Kathmandu – Tumlingtar by plane anddrive to Num.. 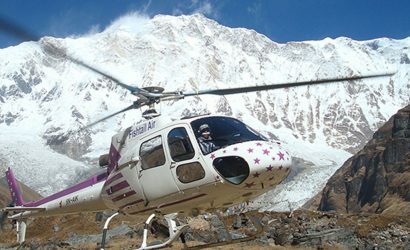 Transfer to domestic airport and fly to Tumlingtar with the views of snow-capped peaks from Ganesh Himal (7422m) to Mt. 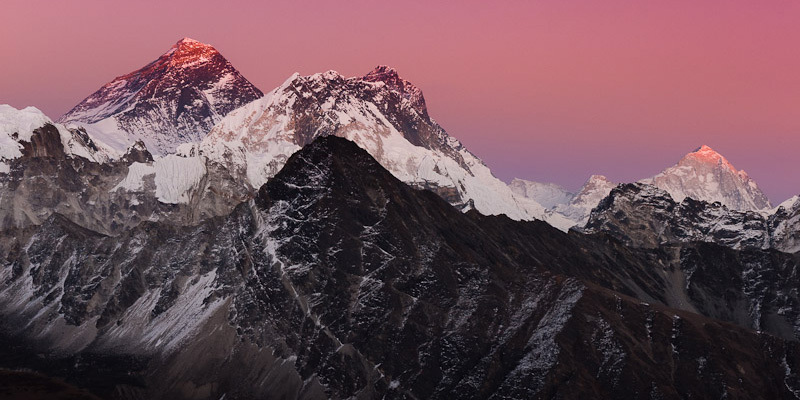 Everest (8848m) and Makalu (8463m). From Tumlingtar, we start our exciting bus or jeep drive to Num through the Kumal village to the village of Khandbari walking in the middle of the sub-tropical forest of Sal. overnight in a guest house. At first, steeply head down along the attached slopes of Arun River, which is nearly 800 meters below. The lower hills of this narrow valley are heavily forested and the paths are quite slippery. After reaching the bottom, we cross the suspension bridge over the Arun River. Then we climb back out of the rainforest as we finally come across our lunch place, from where a steep climb takes us up to Seduwa. Seduwa is a beautiful village with a small health post and a primary school. Overnight in Seduwa. After breakfast, we have an enjoyable short walk about 3-4 hours that takes us to countryside farm villages. Again, it is a slow trail and an arduous climb for an hour through the millet and rice fields that takes us to Tashi Gaon. Tashi Gaon is the last village on our way to Makalu Base Camp. We overnight in Tashigaon, and the rest of the time, we walk around the village. After Tashi Gaon, we walk through the beautiful forest of rhododendron and oak, then leaving the thick forest, you come to a summer meadow with traces of temporary shepherd’s huts. From here onwards to Kauma, is a difficult uphill climb, where tree lines decline for the bushes of rhododendron and juniper. 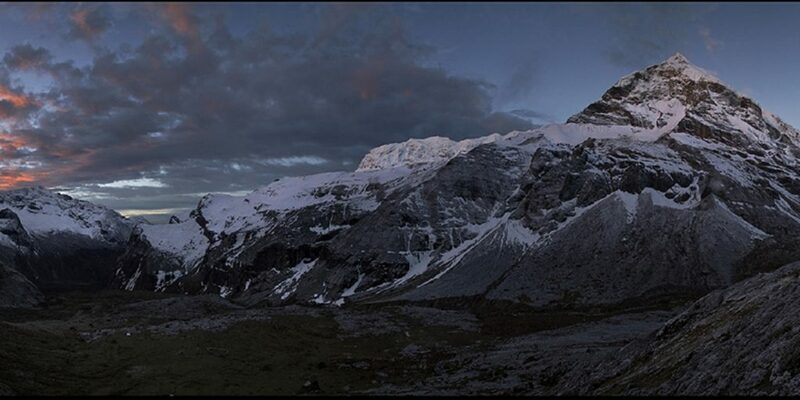 We'll stay overnight at tented camp and enjoy the scenic mountain ranges during the moonlight. We climb on a steady trail with few ups and downs and pass Thulo Pokhari and Sano Pokhari. We walk further to cross the passes of Keke La (4127m), Shipton La (4170m), and Tutu La (4080m), enjoying the emerging views of the Makalu range. Then we walk down back to vegetation to reach Mumbuk, a small place for camping in the mid of the forest of pine, hemlock, birch, and rhododendron. Overnight in Mumbuk. The day starts with a sharp descend through a narrow gorge and continues on to cross Barun Khola just beyond Tamatan Kharka. Then the trial goes along Barun Khola much of the route. The trail then ascends through meadows to reach the periodic settlement of shepherds at Riphok Kharka. Overnight in Riphok Kharka. Today, our trek begins crossing the wooden bridge over Barun River and walking on the rocky hills. The trail goes through meadows and later through moraines to reach Shershon. In Shershon, we have the view of lower Barun Glacier and the towering magnificent Mt. Makalu (8463m). Shershon is also the lower base camp of Mt. 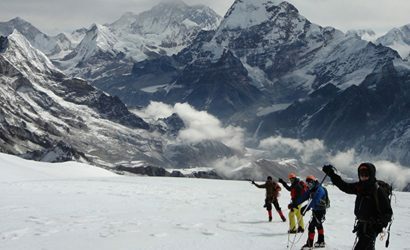 Makalu and serves an astonishing 360-degree view of snow-covered mountains. Overnight in Shershon. 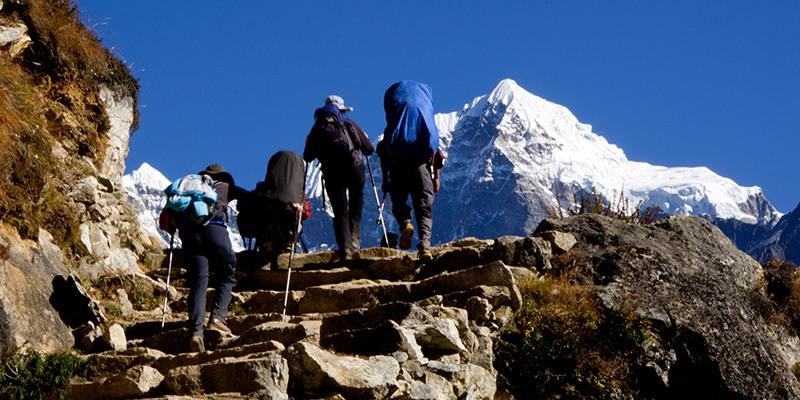 We climb uphill along the moraine track to reach Makalu Base Camp. The trails are narrow and slippery. We will need climbing equipment here to ensure safety. After difficult and strenuous climb in the cold climate with less oxygen, we finally reach the base of the fifth highest mountain in the world, Makalu (8463m). Overnight at the base camp. 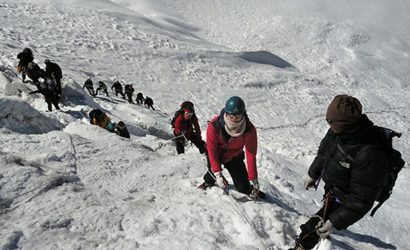 Today you have the day to yourself to visit around some exciting viewpoints to relish the beauty of Mt Makalu (8463m). The most picturesque walk would be taking a hike on the right side of the camp for the closer view of Mt. 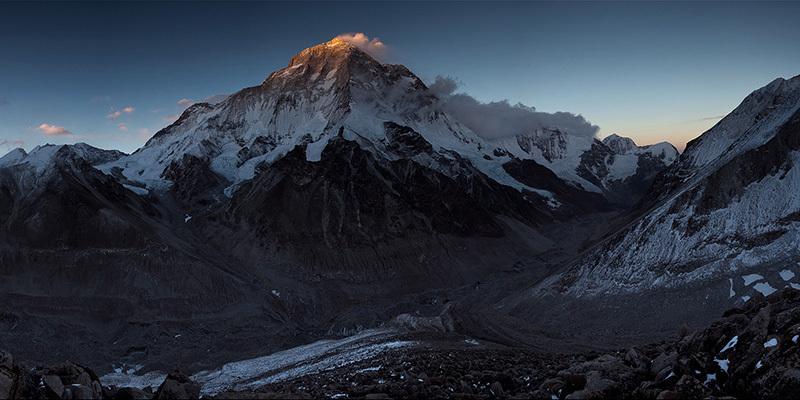 Makalu (8463m), Lhotse (8414m), Everest (8848m), Baruntse (7152m), and several other peaks of the region. A one-hour vertical climb brings you to a large field and you can walk farther up to have a greater view of the surrounding peaks. Overnight at base camp. 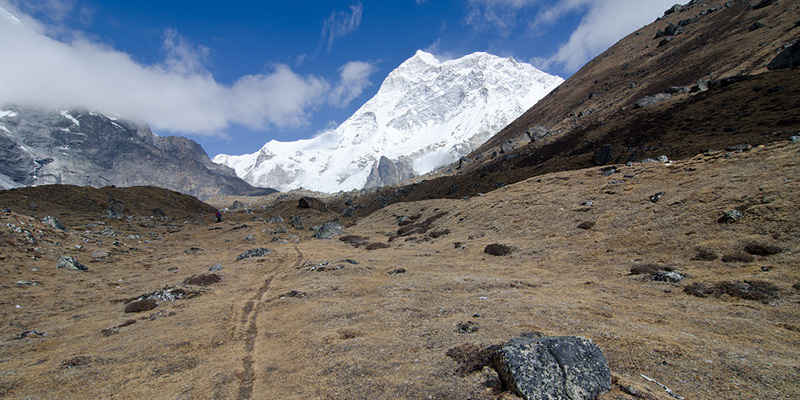 After a delightful exploration of the Makalu Base Camp, we retrace our way to Riphok Kharka. Once again following the moraine route, we descend alongside the Barun River and reach the meadows leading us to the peaceful Riphok Kharka. Overnight in Riphok Kharka. After breakfast, we continue our journey back as we head to Mumbuk. The trail starts to get grassy again and juniper bushes start to appear to finally reach the forested hill leading to Mumbuk. From Mumbuk, we can see lush green hills across the Barun River. Overnight in Mumbuk. Leaving Barun River behind, we climb down through the forest and once again cross the passes of Tutu La (4080m), Shipton La (4170m), and Keke La (4127m) as we head towards Kauma. The trail descends gradually on a ridge to reach the shepherd’s hut in Kauma. Overnight in Kauma. Today, we trek back to Tashi Gaon under the cool shadow of the forest. The trail is silent and the landscape is pristine. Only the chirping of birds and hissing of small streams can be heard as we head back to civilization in Tashi Goan. Overnight in Tashi Gaon. After breakfast, we follow the downhill path through the farms of Narbugaon and continue to trek downhill to reach Seduwa. From Seduwa, we head towards Arun River and cross the river on a suspension bridge to walk on a flat trail leading to Num. Overnight in Num. Today, we trek back to Chichila through the villages of Mudhe, Hururu, Satbaini, and several other small settlements of mixed communities. The trail mostly descends and is flat at some places making this an extremely easy walk. This is our last day trek along forest brings us on a trail bound by Arun River on one side and Sabha River on the other side to bring us to Tumlingtar. We fly back to Kathmandu via Biratnagar or direct flight depends on the flight timetable and time of the year. We will come to Kathmandu and relax at the hotel. Day 20: Transfer to Airport for your onward destination. After breakfast, our team will leave you at the airport 2 to 3 hours before the scheduled time for your departure to your home country. Airport/Hotel/Airport picks up and drops by private car/van. All accommodation / guest house, food during the trek.